It is said that if a woman wants to change something in her life she starts with her hairstyle. 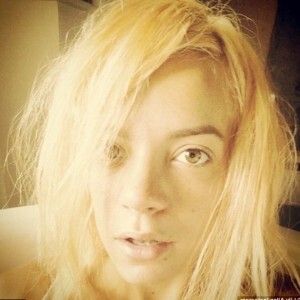 If to believe this proverb Lily’s Allen life consists of only changes! The experiments with a hair colour of celebrities are the most noticeable to their admirers. But what made Lily Allen for such experiments with her image we don’t know, nevertheless every one may see that she is a courageous woman with an excellent imagination. By the way, again she changes her hair colour and now she is blond! Lily Allen is a well-known British singer, actress, television presenter and designer. Her parents divorced and at an early age the girl started smoking and drinking alcohol. The girl was made to change thirteen schools! Her talent to music was noted when Lily was 14. She frequently behaved as a crazy girl. She could run away from home to the concert of her favorite singer. Lily’s Allen way to glory was not ordinary. The girl decided to act not like the other singers. Lily put her tracks on her personal web page in MySpace, mixing her music with amusing stories from her life. The readers liked such approach and gradually the quantity of her subscribers increased. After a while the girl was talked about in mass media. With such a quantity of admirers the girl’s debut album was fated to become successful. By the way in her personal life Lily is happy to the max. She is married with Sam Cooper and has two small daughters. She is an honest wife and a happy mother. But when it comes to changing her hairstyle one might say that she looks like a chameleon. If to judge on her hairstyle we may make a conclusion that her life is bright and it is difficult to follow the hair colour of this talented pop singer. 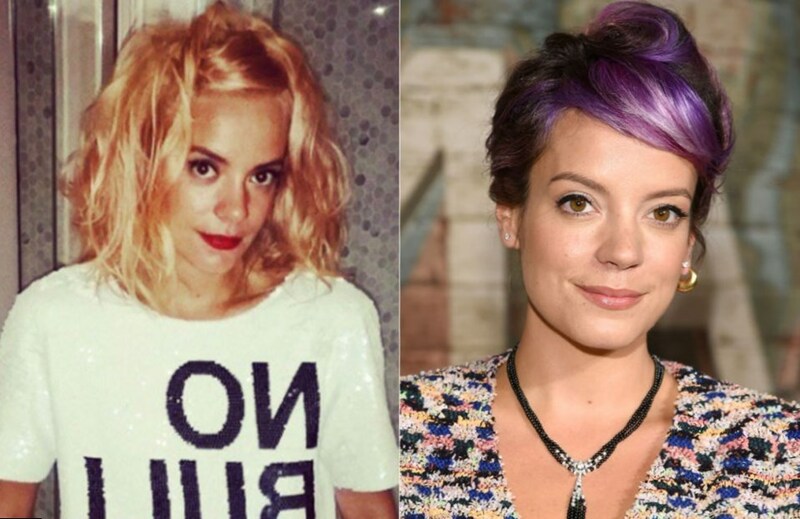 Speaking about Lilly Allen’s hair changes it bears mentioning that her original hair color is dark chesnut but it seems to be that the experiments with the look is Lily’s hobby. The woman tried on her hair the brightest hues and with pleasure shares her photos after meeting the color stylist. One of the most trailblazing experiments was in 2008 when the singer painted her hair in a bright pink colour. Her hair in combination with makeup looked unnatural. But it was the beginning of her creative career. Later when the singer wore bob and had her hair coloured in black, she commented her look in such a way that she was an elegant woman primarily. Year by year the singer changes her hair colour constantly. She was painted into pink, green, purple, red, yellow, black and even cyan colours! She tried all the colours of the rainbow! Later Lilly started mixing them and adding new hues. Sometimes the combinations were not successful. Recently Lilly was noticed in Los Angeles with a new hair style and a new colour. This time it is dumb blond. She chopped off her hair. Just two months ago she wore red color and now changes again. It is necessary to say that in a new look the singer looks more womanly and stylishly. Maybe it is done with outrageous look or may be the singer just got tired from bright colours.